If you are a regular reader, then you would know that I'm someone who always seems to yo-yo when it comes to my weight. I've struggled for as long as I can remember... and I know one huge part of it, is because of portion size. Everywhere you go, everywhere you eat, portions always seem to be double or even triple of what they should be. I came across a wonderful opportunity to share with my readers, my opinion on a new small kitchen appliance. I was sent the EatSmart Precision Pro Digital Kitchen Scale, and I have to say that I'm in love with it! It's small, light weight, and doesn't take up much room in my kitchen... I can actually fit it in one of my drawers. For cooks... Weigh food items directly on the scale platform or utilize the scale's tare (zero) function, which eliminates the weight of a plate or bowl and makes cleanup a snap. The high resolution screen provides easy viewing angles on any kitchen counter and the five rubber feet eliminate sliding. Additionally the three minute auto-turnoff feature ensures that you will never again lose your measurement in the middle of your recipe prep! This scale can hold up to 11 pounds, and it is accurate to the nearest .05oz/1 gram. It is strong, well built and very easy to use... easy two-button operation. It has 4 measurement modes: grams / ounces / kilograms / pounds, and comes with a Free Calorie Factors book... which helps with calorie counting and portion control. 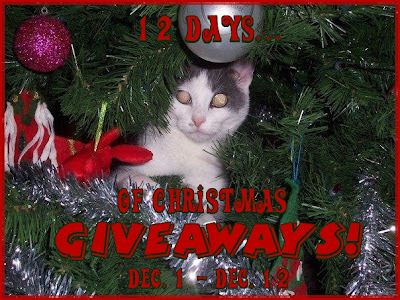 EatSmart has sponsored my '12 Days of Christmas Giveaways'! One lucky person will get the opportunity to win their very own food scale! "Win your own EatSmart Precision Kitchen Scale @kimmie_1980 http://tinyurl.com/2v4eewa (12/19) #giveaway"
EatSmart , is sponsoring my '12 Days of Christmas Giveaways' event, and offering a $25 gift certificate to one of my readers. I did not receive any compensation or incentive nor was I required to write a positive review. Individual results or experiences may vary. I am your newest follower and would love a follow back! sent friend request to Eat smart. follow you on Twitter, too. I follow you (publicly) on GFC..
Voted for you at Top Mommy Blogs..